A 90-ton railcar containing liquid chlorine was leaking chlorine gas through a pressure relief valve at a railyard. Remtech was engaged by the railroad to investigate the problem and determine if the leak could be stopped without an evacuation. 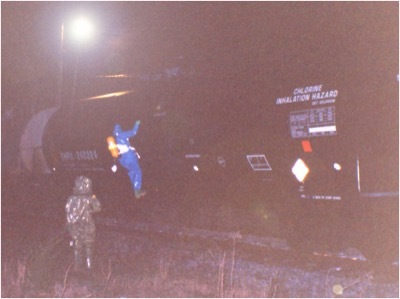 Chlorine vapors were observed several hundred feet away from the railcar. No residential receptors were located within several thousand feet of the car. Remtech seated a Chlorep “C Kit” over the leaking valve and stopped the release. Nine (9) chlorine cars from a Canadian chlorine supplier had cars on the US rail system with defective pressure relief valves. 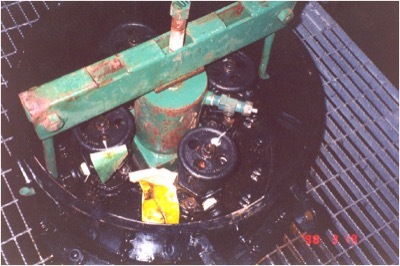 The minor chlorine release was safely stopped without an evacuation.